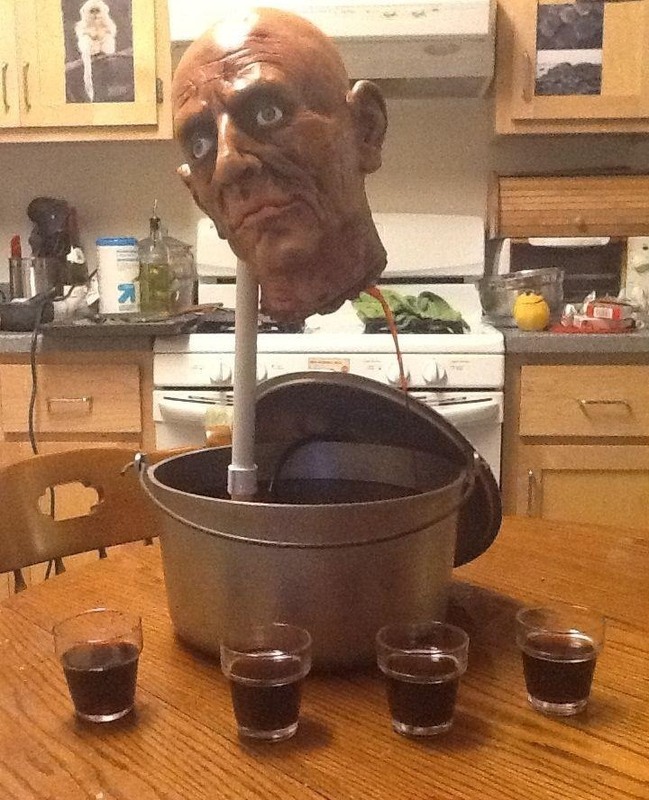 Costume parties are in full effect this weekend, so with that said, how cool would this look at your Halloween party? 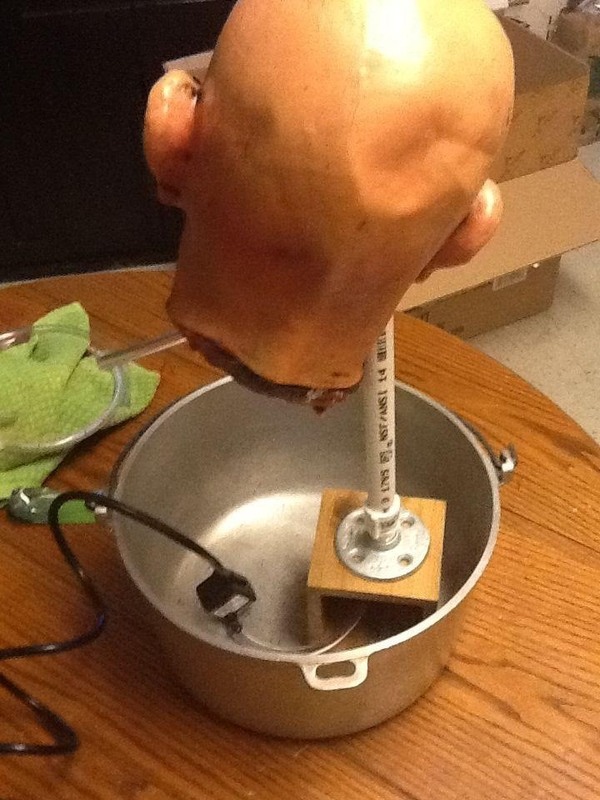 Instructables user castor009 made two holes in the head (one for inserting the PVC tube, the other where the liquid will spew out) and insert the pipe and tubing, then stuffed it to secure everything. 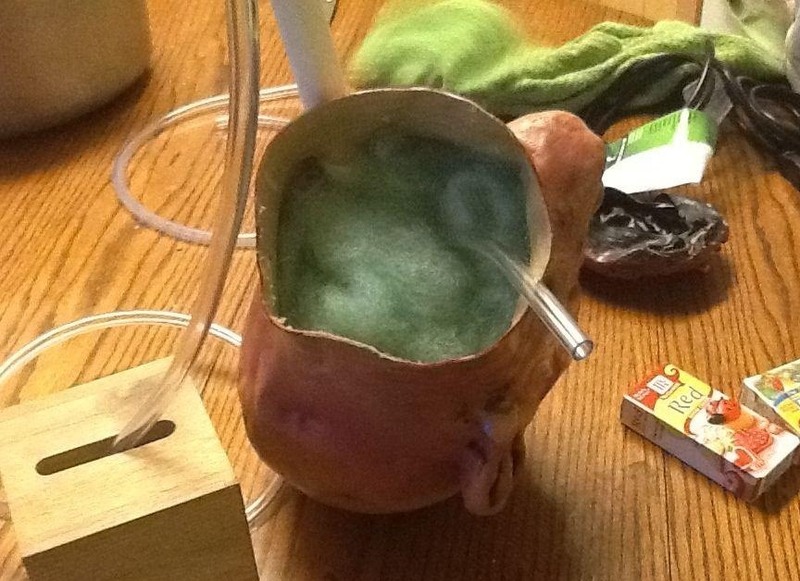 He then fit the bottom tubing through a pencil holder and attached it to a water pump. Then just add whatever you want to serve at the party (I would suggest anything red or black) and you're done. 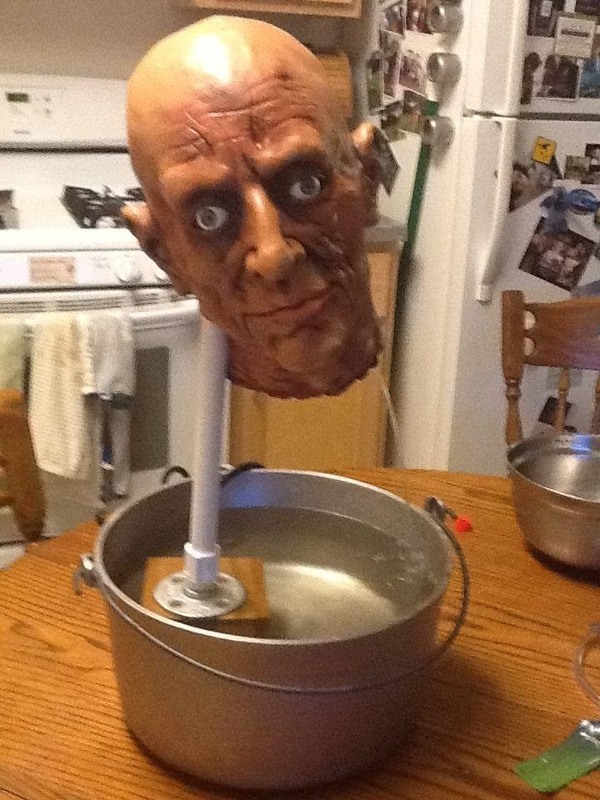 You've got your own gruesome decapitated head fountain! Protip: Use a longer PVC pipe and extend it through the top of the head, giving it the appearance of a head on a stake. Add whatever effects to the pipe to give it a metal stake look. Click through to get the full instructions by castor009.